Yesterday, the lovely Brenda Telford: a moderator of the Goodreads group, Aussie Readers: posted the following review of my sixth collection of Short Stories. 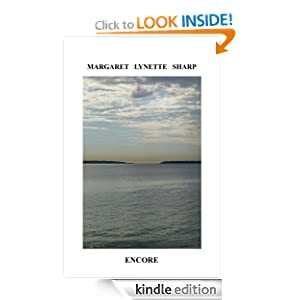 Encore by Margaret Lynette Sharp is an anthology of short romance stories. They are mostly based in and around Sydney, Australia, with the stories centering around young as well as older people. The variation of theme makes each story different, with most of them having a delightful little twist which more often than not made me smile.My favourite story was actually the first one, At Sixteen: Annie’s Story.With sixteen year old Annie living with her sister Sarah, and husband William because their parents are over in Paris, where they have been living and working for the past six months, she feels a little rebellious. Though Sarah feels a little nervous at the responsibility of being in charge of Annie, she feels Annie is a good girl. But when she finds Annie has been keeping company with an older man, she becomes worried. And as things escalate out of control, Sarah needs all her wiles about her to prevent a disaster in Annie’s life. Beautifully crafted with a clever twist at the end…There are some editing errors which I came across in the book, but they didn’t detract from my enjoyment. It’s a quick, easy read, with light entertainment throughout, one I would recommend to all romance lovers out there.Thanks to the author for my copy of this book to read and review. A big ‘Thank you’ to Brenda for this review. Readers, do you like romantic vignettes and Short Stories? Do you like to support Australian writers, particularly emerging ones? If so, this could be the type of book you’d love to get to know. It’s available through Amazon, in both paperback and Kindle editions.